If you have been thinking about selling your Laguna Beach home we can help. We provide professional representation for all Laguna Beach homes for Laguna Beach home owners who need to sell their homes. Selling a home can be a difficult process and knowing what the necessary steps in getting your home on the market and if front of the buyers who will end up buying your home. Exposure and marketing are the keys to getting a home sold in today's Internet age. Your buyer will never buy your home if they never exposed to it. We understand the nuances of a selling a home in today's market and have the experience needed to get the results. 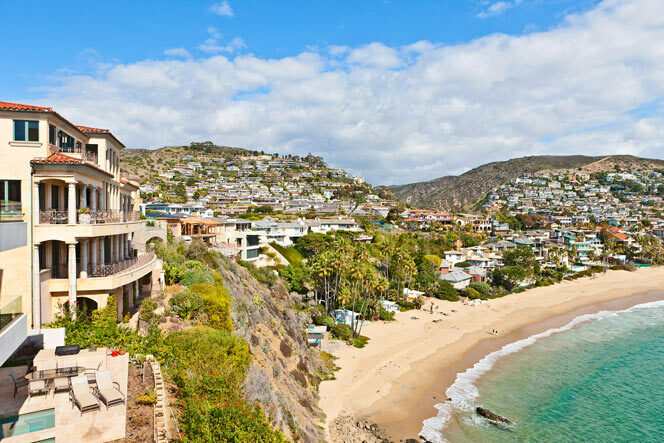 We know the Laguna Beach Real Estate market better than anyone. We recommend the following steps in getting your home on the market. Ask for a Free Home Evaluation: A well-priced home will generate competing offers and drive up the final sale value. Our free market analysis takes into account the most actively searched prices and home values in the area and provides you with a detailed evaluation that puts it all in perspective. Knowing the local Laguna Beach Real Estate market is key since Laguna Beach homes vary in prices due to a lot of different factors. Many outside Realtors don't understand the nuances of the real estate market in Laguna Beach and can cost you thousands of dollars. Working with a skilled and local Laguna Beach Realtor is truly necessary for the successful sale of your home. Sell Your Home with a Professional: Our tried and true marketing plan will take the guesswork out of selling your home. Selling a home in Laguna Beach takes a lot of networking and proper exposure of your home. Our local Realtors will showcase your home in the very best light and network with our real estate agents who may have the buyer for your home. See What's on The Market: Use the search tools on this site to get an idea of the competition. Our Laguna Beach Real Estate website is a great tool to see how your home compares to other homes on the market. Pricing will be key in selling your home in today's tight real estate market. We take the guesswork out of your homes value be factoring in many different variables that are true to the Laguna marketplace. Connect to a Professional: Contact us anytime you need to know what's really going on in this market. When you're ready to take the next step toward selling your home, we're here to help. We'll make sure your listing gets the best exposure and reaches the right buyer—whether they're out of state, in another country, or right around the corner we are here to help. We keep our clients updated on what is going on with today's real estate market and can show you the current trends for Laguna Beach. We are here to help you with the home selling process. If you have any questions about the value of your home please fill out the information below or contact us direct at 949-355-1622. Marketing your home comes down to local knowledge of the Laguna Beach Real Estate market, working with a local Laguna Beach Realtor who can network and expose your home to local Realtors and International buyers. We pride ourselves in being local Laguna Beach Real Estate agents who know all the local Realtors and know how to get homes sold in today's real estate marketplace. You owe it to yourself to work with a skilled Realtor who can represent your home in the best light.